The book was a 1903 edition of Capital, Karl Marx’s monumental analysis of the capitalist order and its future. Leafing through the yellowed brittle pages one could see that the book had not just been read but had been poured over and studied. The many notations in the margins of the book had been made in a firm hand as if they were to remain an integral part of the manuscript, something to be referred back to many times in the future. Some of the notations indicate agreement with the text, some questioned the validity of a particular argument, while still others reduced and summarized complex and abstract ideas into simple point form. One could be forgiven for concluding that the note maker was an educated scholar determined to comprehend the complexity of Marxian philosophy. Such a conclusion would be erroneous however. The scribbles in the margin were made by a man with very limited formal education determined to come to grips with the great events of history that affect us all. The man was Bill Gilbey, civil rights activist, trade union organizer and humanist who devoted his life to improving the lives of others. Bill’s first union related job was also during the early depression years. He worked with the Workers Unity League organizing a number of trade unions and was also instrumental in the formation of the Relief Camp Workers Union. The relief camps had been created by the Bennett government as a means of controlling an estimated seventy thousand young unemployed men in Canada. Conditions within the camp were outrageously bad and it was the intent of the Relief Camp Workers Union to improve these conditions. The R.C.W.U. was only partially successful, but it did manage to persuade many men in the camps to join the famous On To Ottawa-Trek. In 1939 Bill returned to Winnipeg and became involved with organizing the needle trade, (sometimes known as the garment industry) in that city. It was at this time that he met his future wife Anne. However, the Second World War interrupted his organizing activities when he joined the Canadian military. After the war he was discharged with the rank of Sergeant Major and returned to Winnipeg and taking on a temporary job as representative and organizer for a small local of retail clerks. A year later he returned to the needle trade. As was frequently the case with union activists during the late forties and early fifties, Bill and Anne become targets for the prevailing anti-communist hysteria of the McCarthy era. In Bill’s own words, they survived the period “bloodied but unbroken”. Unfortunately, the public xenophobia of the McCarthy era severely limited the ability of union activists to do any serious organizing. Bill therefore had to be content with doing his job as a cutter in the needle trade. However, in 1958 Bill had a chance meeting with two union friends he had not seen in several years who were employed by the Oil, Chemical and Atomic Workers Union. When they asked Bill why he was not out in the field organizing he told them that no union would consider hiring a known communist in the prevailing political climate. One of the men, Rae Slowcomb, retorted that the O.C.A.W would certainly consider hiring him if he was interested. Bill said he certainly was and a meeting was set up between himself and the Canadian director of the Oil, Chemical and Atomic Workers Union. Shortly thereafter, Bill was appointed to the position of executive secretary for the largest local of the O.C.A.W. in Saskatchewan . It was also one of the biggest locals of any union in Canada. The job description required Bill to be involved in many aspects of the union’s activities including bargaining, grievance resolution and job evaluation. Despite the hard work Bill was content with his new job and reveled in what he thought was his good fortune. Politically sensitive jobs were hard to come by for professed communists and he did sometimes wonder what lay ahead for him over the next few months. Indeed, some questions had been raised over Bill’s appointment. Stanley Knowles, Member of Parliament for Winnipeg North had asked the premiere of Saskatchewan, Tommy Douglas, if he thought it wise to allow a prominent union to appoint a communist to a key administrative position. A high-ranking member of the Canadian Labour Congress had asked Douglas the same question. There are unconfirmed reports that Douglas did raise the issue with some of his senior cabinet ministers and they advised Douglas not to pursue the issue. Douglas appears to have heeded their advice. In fact, Douglas and Gilbey came to know and respect each other over the years. Bill chaired several meetings at which Douglas was a speaker and was on the same platform with him at several conventions. Bill was to say many years later that the only thing he and Douglas ever quarreled about was Douglas’ refusal to conform to the time limit allotted to each speaker at a meeting. Douglas would just ignore the little notes and whispers from Bill that his time had expired, continuing to talk until he felt he had nothing more to say. It is somewhat ironic that people who knew Bill well expressed the same criticism regarding his ability to stick to a time limit while giving a public speech. Bill remained with the O.C.A.W. for nine years. During this time he was also elected president of the Saskatchewan Federation of Labour and held the position of Vice President of the Canadian Labour Congress. After many years of exhausting work Bill moved over to the Retail, Wholesale and Department Store Union. In 1967 he joined the Grain Services Union, holding the position of secretary-general manager until his retirement in 1973. 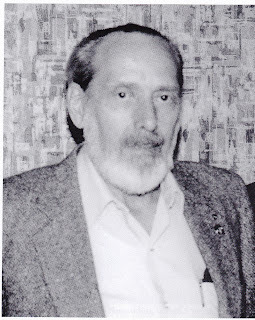 It is interesting that any problems Bill experienced as a Communist working in Saskatchewan did not emerge from the political right in the province, but from the leadership of the provincial Communist Party itself. This internal conflict resulted in Bill removing himself from the activities of the Saskatchewan Communist Party. It was at this time that Bill was also being urged by certain people within the C.C.F. (the governing party in Sakatchewan at the time) to join that party. The timing of the urging was not coincidental. Discussions had been going on since 1958 to begin the process of forming a new political party based on the merger of the C.C.F. and the Canadian labour movement. The first cheque received by the founding committee for the new party (to be known as the New Democratic Party ) came from the O.C.A.W. made out for one thousand dollars and signed by Bill Gilbey. Although he made it known that he was still a committed communist, Bill did joined the N.D.P. in 1961. Hugh Wagner, who succeeded Bill at the Grain Services Union notes that one of Bill’s principle areas of interest was occupational health and safety. Bill was successful in having the Workman’s Compensation Board to recognize the dangers of grain dust to worker’s lungs as a compensationable injury. Len Wallace, a union man for most his life, remembers Bill Gilbey as a man who dedicated his life to the labour movement and was totally committed to improving the working conditions of workers. Bill was in many ways a private person who never sought recognition for his achievements. Bill Gilbey died in March, 1990 at the age of 79 years. Barrie Anderson retired from the Department of Sociology at the University of Regina in 1996, after teaching there for more than twenty years. Before becoming an academic, he worked as a labourer, truck driver, psychiatric nurses’ aid, game warden and professional photographer. During his career, Barrie was keenly aware of and involved in social justice issues. Barrie passed away in February of 2007. I know Kimball but no word from him. Thanks.